(“El”, the Canaanite creator deity, later becoming the supreme Jewish God. Exhibit in the Oriental Institute Museum, University of Chicago, Chicago, Illinois, USA. I have been working these days on some articles about the Old Testament, the belief of the people of Israel, from where they borrowed their supreme god and what they have hidden over time about their illusory faith. I hope you read this with an open mind what I will present here. Especially, I am talking here about the god of the Old Testament who is not the same as that spoken of in the New Testament! Try to notice this difference and especially the fact that the Jews have also put their eagerness to control Jesus’ message: because they could not eliminate it, they added their manipulating style found in the Old Testament and thus transformed the Divinity, from loving and reconciling “Heavenly Father”, in a Divinity that requires submission through fear and other such methods, as seen in the Tanakh, the Hebrew Bible. My work will not stop with these two parts that I will present for now, collected in the series “The Old Testament – the faith in the pagan gods”. I must bring to your attention to one thing: I do not want to reject anything, accuse someone, I do not want to point fingers at anyone or prove that something is false and another true. My intention is to present you the facts, proven archaeologically or through documents (as most of us are looking for palpable evidence). I will let you discern for yourself what is false and what is true. In this article, I want to present some arguments and ideas about the Hebrew word “EL”, which has some divine aspects, referring either to the gods, to the supreme god or to God, and which is to be found many times, in this form or another, in the Hebrew Bible. Let us keep in mind that the Hebrew part of the Bible, the Old Testament, is also to be found as part of the Christian Bible. Perhaps every supporter of the biblical God should know the things I present you here. The word “EL” is of north-western semitic origin (source of three branches: Ugaritic, Canaanite – including Hebrew – and Aramaic) and means “deity”, similar to the akkadian “ilum”, which has the same meaning. In the Canaanite religion, Eli or Il was the supreme god, the father of humanity and all creation, and the husband of the goddess Asherah’s, as it appears on the clay tablets of Ugarit. Asherah is a semitic Mother goddess. Other names are: Ashratum / Ashratu, the Hittite form Asherdu, Ashertu, Aserdu or Asertu (with the ending “s” in some cases). At the same time, Asherah is considered by some to be identical to the Ugaritic goddess Athirat. The Book of Jeremiah, written in about 628 BC, refers probably to Asherah when it uses the title “Queen of Heaven” in Chapter 44. This form of writing testifies to the existence of other gods but dictates the acceptance and reverence of only one of them, the supreme biblical god. Imposing the will of this god in such ways, accompanied by threats if it may not be observed, is found in many books forming the Old Testament. Also in the Canaanite religion, this god “EL” appears to have had two wives, and that he built a sanctuary with them and his new children in the desert. It is known that “El” was the father of many gods, mainly Hadad, Yam and Mot. “Yam” is a Canaanite word meaning “sea” and is one of the Ugaritic names of the god of rivers and the sea. 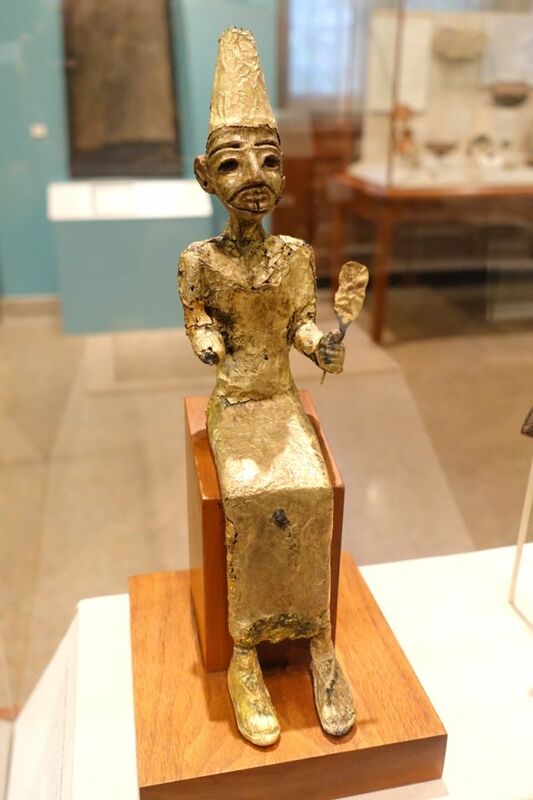 As for the Canaanite pantheon, he depicts one of the “ILHM”(Elohim) or sons of El. At the same time, Yam is the deity of primordial chaos, symbolically similar to the Sumerian Tiamat, which in turn was also a deity of the primordial chaos associated with water. Besides this, the similarity between Yam and Tiamat appears in the fact that the serpent is used as a symbol to describe both of them. Yam is considered to be the first born, the champion of El, and is Hadad’s perpetual enemy. “Mot” is a Canaanite word meaning “death”, being personified as the god of death. Making an analysis of the Ugaritic origin of the word “EL”, we find that the Semitic root “lh” (Ilah in Arabic, Alah in Aramaic, Elah, and in Hebrew Eloah) would be “lu”. In Ugaritic, the plural form meaning “gods” is written “ilhm”, the Hebrew equivalent of “lohim” or “Elohim”, also used in the sense of “gods”. But in Hebrew, this word has often been used to depict a singular “god” or “God”. 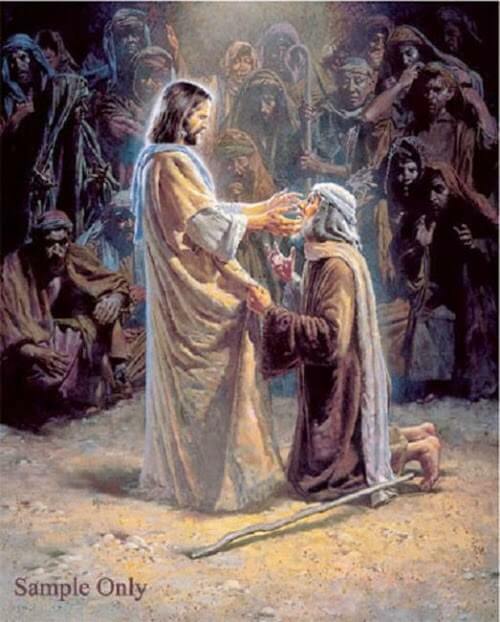 And yet, although used this way today, the Bible says: “And Elohim said: let’s make man in our image and likeness“. It is self-explanatory for the old meaning of the word “lohim” as a plural. Asherah made a pact with us. And the great council of the saints. With vows of Heaven and the Ancient Earth. Ba’al, a north-western semitic honorary title meaning “master” or “lord”, was used for various gods who were the governors of various cities of the Levant. In Akkadiana, the written form is “Belu”. Ba’al may refer to any gods and even to human officials. In some texts, is used as a substitute for Hadad, the god of rain, storm, fertility, and agriculture, the Son of “EL” (as I have mentioned above). However, there are few biblical texts that use “Ba’al” as a reference to Hadad, the leader of a large group of Heavenly gods, but rather refers to any one of a large number of local venerated deities, each called “Ba’al ” and viewed by the Jews as false gods. Ba’al also means “keeper” or “husband”. The feminine form is “Ba’alat” and means “lady, mistress, keeper, wife”. The origin of these words also explains the meaning attributed by those who used these terms initially. So, such a “god” cannot be regarded as the demon depicted in the Hebrew writings, along with Asherah, perhaps named also Astarte in other cultures, that became the demon Astaroth to the Jews, by only desiring to reject and demonize their rival cultures. Adding to this the fact that the Lord God that Jeremiah spoke of in his Book, is rather a threatening, imposing, and revenging invader when he is not revered. We can observe a clear attempt by the Israeli spiritual leaders to impose a certain order among their people, through faith. Coming with threats from God himself, these leaders were able to direct the Israelites in the direction they wanted, even if they did not always succeed. Their monotheistic faith, therefore, was specially built for control, submission, and was borrowed from other people’s faiths what concerns the terms and meanings used, but changes were made so that the gods of opposing peoples were considered either false or evil. We can easily compare this to what has become of Christianity, also a tool of manipulation, control and submission through fear in the face of a ruthless God. As I said before, Hadad was the son of “El” in the Canaanite Pantheon, “El” being the primal god of the Canaanites. Hence the link to the Hebrew name of God, which is also “El”, besides other denominations derived from this root. Returning to Hadad, Yam and Mot, sons of “El”, they had similar attributes as the Greek gods Zeus / Jupiter, Poseidon / Neptun and Hades / Pluto. In the Ugaritic writings, “El” is often called “Toru ‘El” (the “bull god” – found also in the story of the golden bull of the Jews, in the Bible and other appearances of the deities in the form of a bull, throughout the Old Testament, obviously confusions made by the Israelites adopting these meanings). “El” is also called “batnyu binwati”, the Creator of the creatures; “anbu bani ili” or the Father of the gods; ‘abu’ adami, or the Father of man. He is also the “qaniyunu ‘olam” or the Eternal Creator. Also we can find him called “hatikuka” or “your patriarch”. He is portrayed as an ancient man with a long, gray beard, full of wisdom, malku (“king”), “abu samima (father of the ages),”el gibbor”(El the warrior). 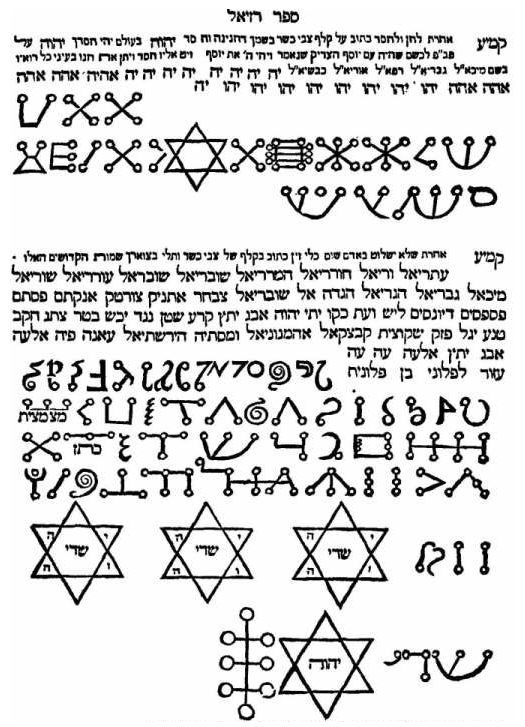 These are some forms of “El”, taken by the Jews and presented in the Old Testament as God, when it actually represented a Canaanite deity, transformed and redefined as I said above, with intentions of control and obedience. In Exodus 6: 2-3, it is written: “I showed myself to Abram, to Isaac, and to Jacob as EL Shaddai, but I was not known to them by my name, Yahweh”. This suggests the identity of Yahweh as “El”, taking the aspect Shaddai, or as a god called Shaddai. It is very important to know these things about the names and terms used by the Hebrews, in order to understand the meaning of the biblical god. Another hypothesis states that Yahweh’s identification with “El” is of later appearance and that Yahweh was initially considered as one of many gods, and that he was not usually identified with “El”, which supports the formulation of the first commandment I here repeat, “I am the Lord your God, do not have any other gods besides Me“. It may well be that then, Yahweh was just another god among many others, as the command is well-formulated. In Psalm 29, Yahweh is clearly depicted as a god of storms, something far from the identity of “El”. Yet we do remember Ba’al / Hadad, who was considered a god of storms. In Isaiah 27: 1, Psalm 74:14, Job 3: 8; 40: 25/41: 1, Yahweh is the one who fights with Leviathan, a deed attributed both to Ba’al / Hadad and Anat in the Ugarchic texts, but not to “El”. Again, we notice that in those periods, reading texts other than biblical texts, there was evidence that the Jews took over the image and functions of their supreme EL / Elohim from other peoples, to whom they had other meanings. This does not at all reflect that EL is the only Creator, but rather a pagan form of pseudo-polytheistic representation of the Creator. The Old Testament is full of such episodes, especially in its older parts, where one can observe the similarities between the Ugaritic texts and the Hebrew perceptions. Dedicate to Yahweh, glory and power. Who is like Yahweh among the sons of the gods (bene ‘Elim)? Traditionally, “bene ‘Elim” has been translated as “the sons of the mighty” or “the strong / great,” because “EL” can also mean great. Who is like you among the gods (‘elim), Yahweh? And the king shall do according to his pleasure; and he will exalt himself above every god (“El”), and against the god of gods (“el’ elim”) he will speak revolting words and will prosper until the indignation is fulfilled: for what is decided will be done. “Son of man” tells the prince of Tyre “Thus saith the Lord Yahweh: For your heart is proud, and thou hast said, “I am EL (god), on the throne Elohim (god of gods), I am enthroned in the midst of the great”. And yet you are a man and not EL, even though you have made your heart like the heart of Elohim (God of gods)”. Here God appears with the sense of Yahweh who judges among many other gods as one of the council of the great God “EL”. The following verses in which God condemns those who say they have been before called gods (Elohim) and sons of the Great, suggest that God is here indeed “EL” who judges the smaller gods, to which Yahweh also belongs. This is the link made again with the first commandment of the Decalogue. After this short history of the deity and the term EL, we can draw some conclusions that clearly show us that this biblical God is not the only god in existence at that time and is by no means alone. Sometimes “EL” is used in the sense of Yahweh, a god subject to EL, sometimes in the sense of Lord / Ba’al / Hadad, as the god of the storm, and sometimes referred to as another god, among other gods, asking the Jews to have no other god besides him. Things are suspicious, unclear after all, but it can certainly be said that: the Biblical God is not the unique Creator, but a deity borrowed from the Canaanites and not only them. It must be emphasized that in the translation of the Bible into Romanian (one of the bibles used in writing this article), these inflections of Hebrew, which call God by different names, are not at all noticeable. People would think that the same title or name is spoken of throughout the entire Old Testament, but the reality is different and worth studying. In this article I would like to discuss something about the biblical character Abraham, which I believe should be clarified in some respects, because they are not present in the Bible. At the same time, I want to explain some of the names given to the supreme Israeli god and what they mean. Abraham originates in the Babylonian town of Ur, where he is said to have been born together with his brothers. Here we find a ziggurat, the Great Ziggurat of Ur. It was built in the 21st century BC by King Ur-Nammu and rebuilt in the 6th century BC by Nabonidus. In order to establish a temporal line, Nabopolassar reigned between 626-605 BC, his son Nebuchadnezzar II (the Biblical Nebuchadnezzar) between 605-562 BC; Nabonidus was the fourth king after it, between 556-539 BC. Abraham’s name was originally known as Abram. He settled in Haran, southeast Turkey, with Terah (his father), Nahor, Sarai (Abram’s wife), and Lot (nephew of Abram). In this region, it is said that God spoke to Abram, and then told him to go to a realm that He was going to show him. When they reached Canaan, it is said that God gave this land to Abram for him and his descendants. This area of ​​Canaan is what Israel / Palestine, Lebanon and the western parts of Syria are today. Linguistically speaking, Canaanite languages ​​are a group of north-western semitic languages, of which the most famous member is the Hebrew language. Thus, it is quite likely that Abram, born in the Babylon area, had not spoken the Hebrew language from the beginning or even ever spoke it. Some suggestions say he would have spoken Assyrian, Babylonian or Aramaic rather than Hebrew. But then, what “God” did sent Abram to Canaan? How was this supreme god named? If it is to be taken that he was born in Babylon, it may well be that the Old Testament information about the creation of the world and Adam is borrowed from the Sumerian culture. And if we analyse a little, we find such references. Adapa is a Babylonian mythical character who, out of ignorance, has rejected the gift of immortality (like Adam when he bit out of the apple of Knowledge of Good and Evil). This is the son of Enki, the supreme god of the city Eridu. “Enki” translates to “The Master of the World,” and was the god of waters and sea, of intelligence and of creation. His symbols were the goat and the fish, which later combined gave birth to Capricorn. Enki is the one who helped mankind survive the Flood. Enlil, the king of the gods, has triggered this cataclysm. He sends drought, famine, and illness to eliminate humanity (elements found in what the Bible God sometimes does too), but Enki chooses to train Atrahasis (a character whose name translates as “excessively wise”) about irrigation, granulation and medicine. Then Enlil makes a council of the gods (like the council of EL from the Psalms, to which Yahweh belonged) and asks them not to tell humans about his plans to destroy them. Enki does not tell Atrahasis, but rather to the walls of his hut made of reed about Enlil’s plan, and thus saving Atrahasis. How? By asking him to build a kind of ship for his family. After seven days of Flood, the hero frees a swallow, a raven and a dove to find a place where the waters have retreated. When they manage to find a place, Atrahasis brings offerings to the gods. Enlil is angry that his will has been violated once again, and it is revealed that Enki was the culprit. He explains to Enlil why it is wrong for Atrahasis to be punished for the sins of others, and obtains a promise that the gods will no longer try to eliminate mankind if they control their multiplication and live in harmony with nature. Yet, if men do not respect their part of the deal, the gods will attack them again. With small differences, the story resembles what we find in the Old Testament related to the episode of Noah, but this story is older than the writings in the Bible. It may well be that this story plus many others have been taken over by Jews from the Sumerians. Another name for Enki (in Sumerian) is EA (in akkadian), which translates to “house of waters”. The excavations made in the city of Ebla (located in the northwest of modern-day Syria), dating back to the 3rd millennium BC, show that they had a monotheistic religion more than 1000 years before the Torah, and more than seven centuries older than the cult of Akhenaton. Here, there have been discovered trends of the inhabitants to replace the name “EL”, the god of the gods in the Canaanite Pantheon, with “Ia” pronounced “I-a”. Several researchers have suggested that “Ia” is a West-Semitic expression of Enki’s Akkadian name, “EA”. “EA” taken the semitic declination, becomes Iahu, and may well have become Yahweh later on. Besides that, EA, the master of the sweet waters, is a brother to Enlil, who was also considered a god of storms, the creator of Heaven and Earth. The link with the Ba’al Hadad, the Semitic God, is obvious. Comparing these things with the belief of Abram / Abraham, we find some major similarities, as well as a tendency to choose which of the attributes of whose god are “right”, and which god must be celebrated and in what form. It is hard not to see how most of the Old Testament faith is rather a shadow of the Sumerian and Canaanite beliefs, pagan actually (in the sense that they have nothing to do with the faith attributed to Jesus in the New Testament). A brief observation can now be made, looking at modern-day Christianity, showing clear signs of idolatry: statues of the Virgin Mary, of saints, of Jesus, icons of them, and temples built to their glory. Similarly, the ancient Canaanite and Sumerian-Babylonian beliefs had their deities, with statues worshiped by the faithful, with paintings and other representations of the gods. And the fact that the supreme Jewish god has come to have several names with more functions, and that he governs several groups of beings called Archangels, Thrones, Principalities, Cherubim, or Seraphim, is but a difference in names and perspectives between the Jewish people’s faith, and the Canaanite and Babylonian polytheistic beliefs. Let’s look at the names given by the Jews to God, because it is said that He has several names. “Adonai” for example is translated by “Master”, but it is a clear plural form of the word “Adoni”, and grammatically speaking it actually means “My Masters/Lords”. Why this plural name (like Elohim – the gods)? Probably because initially there were more gods, more masters, more deities as I pointed out earlier in this document. “Ehyeh-Asher-Ehyeh” is generally translated “I am what I am”. But “Ehyeh” is the imperfect form in singular, for the first person of the word “hayah”, “to be”. Thus, “Ehyeh” translates correctly through “I will be”. An example would be found in Exodus 3:12 – “unmistakably, I will be (ehyeh) with you.” Then, “Asher” is a pronoun having more meanings according to context: “that”,(describing a male or female person, or a place), “where”. Thus, although this name is usually translated as “I am that I am,” more correct translations would be “I will be what I will be,” “I will be the one I will be,” or even “I will be because I will be”. Such a translation can also be understood by “I will become what I want to become”, or “I am the Being.” A fixed interpretation, however, does not exist. “Elah,” plural form “elim”, is the Aramaic term for “extraordinary”, although originally it could have meant “fear” or “reverence”. The word was used to describe both pagan gods and the only God. Strange fact: although it is of Aramaic origin, it was used in the Hebrew Bible in the books of Ezra, Daniel, and Jeremiah. “Elohim,” though it ends in -im, which indicates the plural form, designates the one God. The word is identical to the plural of “EL”, meaning gods, and is the same as the meaning of “lhm” found in Ugaritic culture. It is used in the pantheon of the Canaanites for the children of El, called Elohim. Regardless of what explanations are offered on a secondary plan, Elohim is a plural term, made to be used as singular to designate the one God. The word “Eloah” (apparently a singular feminine form of “Elohim”) is rarely used and can be translated as “One to be feared or worshiped” or “One in whom one who is afraid finds refuge”. At the same time, “Elohim” is also used as a reference (in the Bible) to non-Jewish deities, even angels. “Shaddai” was an Amorite city on the banks of the Euphrates, in northern Syria. El Shaddai is supposed to have meant “the god of Shaddai,” and was associated with Abraham. The inclusion of his story brought this northern name into the Hebrew Bible. “Shaddai” becomes later used in the Book of Job, added to the name of God, designating Him as “omnipotent”. However, the root of this term, “shadad”, means “overwhelming”, “to destroy”; thus, Shaddai becomes God the Destroyer. “Sabaoth” means “armies” and in Samuel 17:45 for example, it is used in the sense of “the God of the armies of Israel”. We can observe from all these names that to the supreme Israeli god were given various names expressing his functions or forms of manifestation, but some are plural (Adonai, Elohim) and others denote aggression (Shaddai, Sabaoth). No trace of a loving and friendly God. The general picture is that of a tough, cold, destructive leader or worthy of worship and fear. If we compare with the Babylonian mythology, we find the god Marduk, who has been given 50 names and powers, just as the supreme Jewish god has several names expressing his powers and functions. Again, there is a strong link between Sumerian-Babylonian and Israeli culture to be observed. However, I make the clear statement that the former preceded historically speaking the second. Imports? 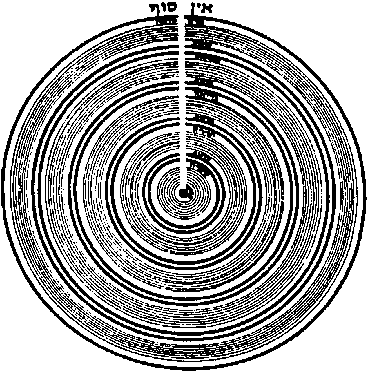 What is certain is that at the origins of the faith we find in the Old Testament, is not at all Jewish, but rather of other cultures with which they have come into contact with, and from which they have taken what they deemed useful, eliminating what they did not agree and this resulted in a monotheistic but very polytheistic belief in essence. This says a lot about this biblical God.